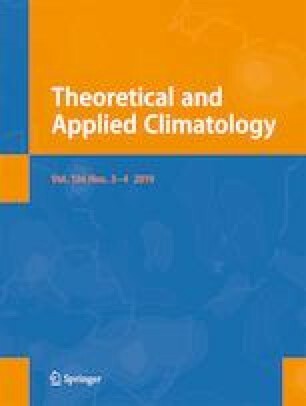 Inter-annual variability of the dates of Indian summer Monsoon Onset over Kerala (MOK) is examined for the period 1971 to 2018. The dates of MOK, deduced based on the present criteria of India Meteorological Department (IMD), are used in the analysis. The mean date of MOK is observed as 2 June, which is marginally delayed compared to the currently used long-term normal of IMD (1 June). However, the standard deviation (SD) of the present series is found to be less than that of the earlier IMD series. The study compares the statistical properties of the present MOK date series with that deduced in earlier studies based on different criteria. Further analysis indicates that on inter-annual scale, the present MOK date series exhibits a large variation with typical embedded variations during the study period. The study makes decadal analysis of the MOK date series. The results show significant decadal periodic variation and decrease in the range of variation decade after decade. Analysis of decadal moving averages of MOK date series indicates a striking change during recent decadal period through a shift in the time of occurrence of MOK, coming at on earlier date with reduction in the SD and range of variation. The observed changes are assessed in relation to the variation of zonal winds over Indian region for the month of May. The study presents the features of observed variations and brings out their utility in the prediction of the date of MOK. The authors are thankful to the Director, Indian Institute of Tropical Meteorology for his encouragement and valuable support. Thanks are also due to India Meteorological Department for making availability of meteorological data. Authors also acknowledge for availability of for various Daily Global data sets to NOAA/OAR/ESRL PSD, Boulder, Colorado, USA.